The suspect in the murder of 23-year-old Art Institute graduate Laura Araujo has now officially been charged with her death. 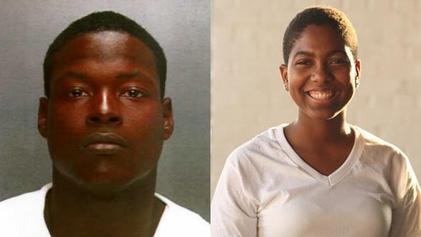 23-year-old Jeremiah Jakson is accused of beating and strangling the young women before stuffing her body in a duffel bag and dumping it along with her belongings in a empty North Philadelphia lot. Jakson then took her car to South Philadelphia and set it on fire, suffering burns to his arms in the process. The suspect's phone was found near the burning car and it also placed a call near where Araujo's body had been dumped at the time detectives believe she was placed there. The suspect and victim were living on the same floor in an apartment house in West Philadelphia's Mantua neighborhood. Jackson was arrested when he arrived at Crozer-Chester Medical center seeking treatment for his burns. Police believe she was murdered inside the apartment complex, but are unsure of the exact circumstances as of yet. Jakson has apparently confessed to the crimes while in Police custody. 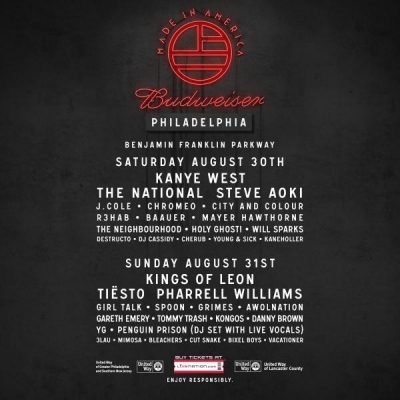 The two-day Made in America festival has announced its daily lineups for this year. For the first time the festival will hold simultaneous events in both Philadelphia and Los Angeles over Labor Day weekend. The Jay Z curated concert originated on the steps of the Art Museum three years ago and features an eclectic mix or rock, hip hop, and electronic acts. Kanye West will make the coast-to-coast trip and headline a night in each city starting on Saturday in Philly. Kings of Leon will headline Sunday. Other acts of note include: The National, Steve Aoki, Chromeo, Tiesto, Pharrell, and Spoon. Partly Cloudy, Temperatures in the mid to upper 70's this evening in Center City.